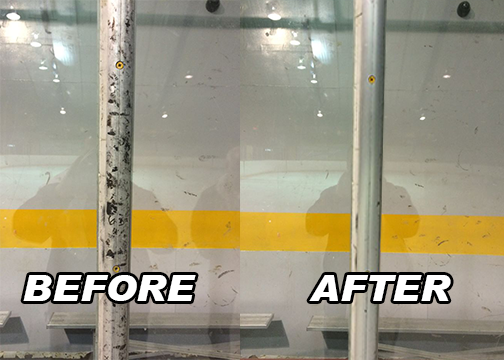 Tired of using toxic chemicals or mechanical devices to clean puck marks from your rink? We certainly were at our facility until we were introduced to a revolutionary product that virtually dissolved the puck marks. 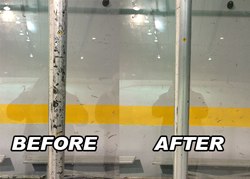 With Naf's Rink Clean, we sprayed the product on any smooth surface (in our case, it was our boards), wait 2-3 minutes, and simply wipe the marks away with a towel.